National Day is a special moment in the history of a nation where people take pride of the progress made by the country over the years and express confidence to move forward towards new accomplishments. This year has seen a major milestone in our long-standing struggle to complete the decolonisation process of Mauritius with the historic ruling of the International Court of Justice (ICJ). This was the gist of the message of the Prime Minister, Minister of Home Affairs, External Communications and National Development Unit, Minister of Finance and Economic Development, Pravind Kumar Jugnauth, addressed to the student’s community on Monday on the occasion of the 51st Independence of Mauritius and the 27th anniversary of the Republic. The Prime Minister recalled that the Advisory Opinion given by the ICJ last month made it clear that the excision of the Chagos Archipelago from Mauritius prior to our accession to Independence was unlawful. The Court, he emphasised, has ruled that the United Kingdom must end its unlawful administration of the Chagos Archipelago as rapidly as possible. He pointed out that the ruling of the ICJ is evidence to the fact that Mauritius, as a nation, can realise bigger aspirations with determination, commitment and perseverance. On this score, he reiterated that Government will leave no stone unturned in its efforts to complete the decolonisation process and to enable the free movement of all Mauritians within the territory and in particular, the return of those of Chagossian origin to the Chagos Archipelago. 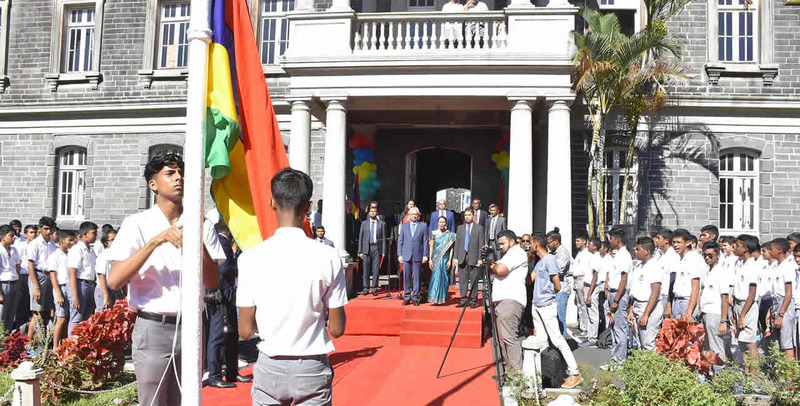 Speaking of the Mauritian youth, Prime Minister Jugnauth underlined that they have to be inspired by the tenacity and wisdom of past generations who have strived to make of Mauritius what it is today. He highlighted that it is important to have faith in oneself in order to face challenges of a new learning environment and the needs of a changing labour market as the world unlocks the potentials of technology. Government, he said, has developed a strategy for defining the roadmap to drive the uptake of artificial intelligence in the economy and is investing heavily in training and resources necessary for creating a culture of innovation. He stated that coding in primary schools and secondary schools will be introduced in April this year whereas courses in mobile apps development and big data are already being offered in public universities. He also recalled that 50 scholarships will be offered on an annual basis to youths wishing to specialise in emerging technologies including blockchain and artificial intelligence. A series of initiatives, he stated, have been implemented to increase participation, both at grassroot and elite levels, to ensure a healthier lifestyle as well as to encourage the population to engage in physical activities. Prime Minister Jugnauth spoke of the Indian Ocean Islands Games which will be held in Mauritius in July, this year adding that the whole nation will be supporting hard working athletes and help them make it to the top. “Wherever there is unity and hard work, wonderful things can be achieved”, said the Prime Minister as he presented his greetings to the students for the National Day Celebrations 2019.